What Are Invisible Braces, and How Do They Work? 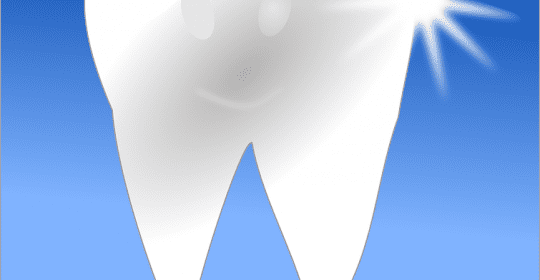 Saeid Badie, DDS Blog What Are Invisible Braces, and How Do They Work? Having crooked teeth is an embarrassing problem, and it’s one that can impact your long-term oral health. If you tend to do a lot of public speaking, you might be feeling self-conscious about your teeth. In such situations, braces are an effective treatment for aligning your teeth to give you that irresistible smile you’ve always wanted. But what can be done for people who don’t want to deal with the eating restrictions of braces or who want to maintain a braces-free smile? With invisible braces, you can straighten your teeth without any visible brackets. But how do invisible braces work? Here’s what you need to know. Almost everyone is familiar with the concept of invisible braces. InvisAlign was the first non-braces based system ever developed that realigns a patient’s teeth, but there are other generic invisible braces on the market. Invisible braces are typically used in mild to moderate cases of crowding and spacing – where patients’ teeth are too close together or too far apart. The system works by turning a mold of the patient’s teeth into a digital scan, from which plastic aligners are created. Over the course of 13.5 months, the patient wears one aligner 20 hours per day for two weeks, then switches to the next aligner in the series. Over time, these trays gradually move teeth into a more desirable position. Here at Badie Dental, we offer clear aligner trays as treatment for mild to moderate alignment problems. Rear-mounted braces – like the Incognito Hidden Braces developed by 3M – consist of metallic braces bracketed against the backs of teeth. These are essentially the standard braces that you’ve seen for years, but bracketed against the insides of the teeth instead of the outsides. These braces come in two styles – one meant to simply fix the six front teeth, and one meant to align a whole set of teeth. Rear-mounted braces are custom-fitted for every patient, and then applied to the backs of the teeth. Invisible braces make it easier to clean one’s teeth, and they’re also more comfortable than other systems. If you play contact sports, you’ll want to opt for invisible braces, as they’ll allow you to stay involved in athletics. Invisible braces like InvisAlign are very effective at realigning teeth, but they’re not an ideal treatment for all situations. For simple cases of crowding or spacing, it’s a fantastic option – but if a malocclusion or crossbite is a problem, then invisible braces can’t help you. 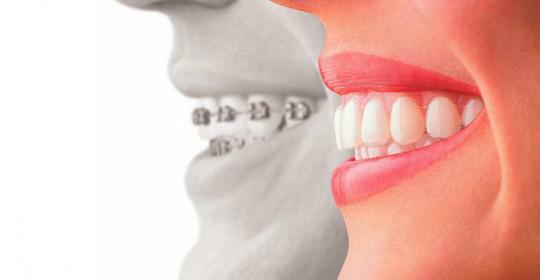 Rear-mounted braces are usually better for people who may forget to change trays, or who can’t afford aligner trays. They’re also the better option for people who don’t want to commit to properly cleaning a set of trays every night, and they don’t require as many dental appointments as invisible braces. When it comes to invisible braces, there are multiple options available that can give you the outcome you want. Your own individual needs will differ from those of other patients, so ultimately, the best option is the one that works best for you. Here at Badie Dental, we can help you to determine which course of treatment will be best in your case. To learn more, or to schedule an appointment with Dr. Badie, call us today at (520) 433-9800.